Timur Gareyev Timur Gareyev (Gareev) was born on March 3, 1988. He was born in Tashkent, Uzbekistan to Tatar parents. In 1994, at age 6, he learned how to play chess from his grandfather. In 1996, at age 8, he entered his first chess tournament. In 1998, at the age of 10, he was expert strength. His coach was Georgy Borisenko (1922-2012), a correspondence grandmaster. In 2000, he played for Uzbekistan in the 2000 Children's Olympiad. In 2001, at the age of 12, he completed in the World Under-14 Championship in Bikaner, India, scoring 6 out of 11. He won the Asian Champion under-14. In 2002, it took him three FIDE-rated chess tournaments to go from 2191 to 2431. In 2002, he became a FIDE master. In 2002, he played Board 2 for Uzbekistan in the Under-16 Chess Olympiad, winning the individual bronze. In February 2003, he took 2nd at Kemerovo. In 2003, he won the Chigorin Memorial. In 2003, he completed all the GM norm requirements at age 15. In April 2004, he won the Vasylyshyn Memorial, scoring 12 out of 15. In 2004, he played Board 1 for Uzbekistan in the Under-16 Chess Olympiad, winning the individual bronze medal. In 2004, he tied for 2nd at the Uzbekistan Championship. In 2004, he competed in the World Junior Championship and scored 7 out of 13. In October 2004, representing Uzbekistan (1st reserve), he participated in the 36th Chess Olympiad in Calvia, Spain. He won 6, drew 4, and lost 1. In 2004, he was awarded the Grandmaster title and was Asia's youngest ever chess grandmaster at age 16. In 2004, he played in the Under-18 Chess Olympiad. In 2005, he tied for 1st in the Uzbekistani Championship, scoring 8 out of 10. In 2005, he moved to the United States. In August 2005, he attended the University of Texas-Brownsville (now UT-Rio Grande Valley) studying Business Marketing, and was part of their chess team. He was part of their chess team from August 2005 to August 2006, and from August 2009 to December 2011. He helped the university obtain its first national championship. In February 2006, he tied for 2nd at the Gran Abierto, held in Morella, Mexico. In May-June 2006, representing Uzbekistan (Board 3), he participated in the 37th Chess Olympiad in Turin, Italy. He won 6, drew 4, and lost 1. He took 5th place for Board 3. In March 2007, he tied for 7th at the Cappelle la Grande. In 2007, he tied for 1st place with Vladimir Egin and Anton Filippov in the Uzbekistani Chess Championship. In 2007, he placed 3rd at the Zonal Championship with 7.5 out of 11. In 2008, he took 2nd in the New England Masters, held in Rhode Island. In 2008, he played top board for Uzbekistan at the 2008 Asian Team Championships, placing 4th for his board and helping his team to 4th place. In 2008, he won the Blackstone Chess Festival in Pawtucket, Rhode Island. In 2008, he won the Liberty Bell Open. In 2009, he represented the University of Maryland Baltimore County. In 2009, he tied for 3rd place at the National Open. In 2009, he tied for 3rd at the World Open. In 2009, he tied for 1st in the 75th Annual Southwest Open in Fort Worth, Texas. In 2009, he won the Liberty Bell Open. In 2009, he won the Arizona International. In 2009, he expressed a desire to pursue his passion for tournament poker. In 2010, he won the UWI Masters in Jamaica. In 2010, he won the National Open, scoring 5.5 out of 6. In 2010, he won the Arizona International. In 2011, he took interest in blindfold chess. In 2011, he won the 20th annual Chicago Open, scoring 7.5 out of 9. In 2011, he won the 11th Metropolitan Chess FIDE invitational tournament. In July 2011, he tied for 3rd in the World Open, scoring 6.5 out of 9. In 2011, he graduated with a B.A. degree in Business Marketing from the University of Texas at Brownsville. In 2011, he tied for 1st at the 112th U.S. Open in Orlando, Florida, scoring 7.5 out of 9. It was won by Aleksandr Lenderman on tiebreak. In April 2012, he played 4 games blindfolded simultaneously at the Laura Bush Library in Austin, Texas. In 2012, he tied for 1st at the Metropolitan International Tournament at Los Angeles, scoring 7 out of 9. In July 2012, he was the recipient of the Frank P, Samford, Jr. chess fellowship. In 2012, he won the Land of the Sky Open. In 2012, he won the North American Open, scoring 8 out of 9. In 2012, he tied for 2nd at the Washington International, scoring 6.5 out of 10. In September 2012, he gave a 19-game blindfold simul in Cypress, Texas. He won 16, drew 1, and lost 2. On December 23, 2012, he gave a 27-game (set in stages) simul in Oahu, Hawaii. He won 24, drew 2, and lost 1 in 9 hours of play. In 2013, he transferred over to the U.S. Chess Federation. In 2013, he settled in Las Vegas. In February 2013, he had a peak FIDE rating of 2682 and was ranked #76 in the world. In 2013, Gareyev, USCF-rated 2780. was ranked #3 in chess by the United States Chess Federation. On April 30, 2013, he gave a 33-game (set in stages) blindfold simul in St. Louis. He won 29, drew 4, and lost none in 10 hours and 39 minutes. In 2013, he tied for 3rd in the U.S. Chess Championship, scoring 6 out of 9. In 2013, he tied for 1st in the 49th American Open, scoring 6.5 out of 8. In 2013, he tied for 1st in the North American Open, scoring 6.5 out of 9. On September 21, 2013, he gave a 35-board blindfold simul in Austin. He won 23, drew 10, and lost 2. In 2014, he tied for 2nd in the National Open. In 2014, he tied for 1st in the Millionaire Chess Open, scoring 6.5 out of 9. In April 2014, he won the Far West Open in Reno. In November 2014, he won the 50th American Open, held in Orange, California. He scored 7 out of 8. On July 31, 2015, he gave a blindfold simul with Marc Lang from Germany to set a new world record in �Tandem Blindfold Chess.� They played 7 games simultaneously, moving alternately without consultation, winning 5 games and drawing 2. In 2015, he took 11th place in the U.S. Chess Championship. In November 2015, he won the 9th Festival International de Xadrez Figueira Da Foz in Portugal, scoring 8.5 out of 9. After celebrating his victory in Portugal, he was attacked by a gang of gypsies and woke up the following morning in the local hospital. On February 13, 2016, he gave a 12-game blindfold simul at the Demuth Community Center in Palm Springs. He won 11 and drew 1 in 3.5 hours. On March 12, 2016, he gave a 35-board blindfold simul in Santa Clara, California, winning 32, drawing 2, and losing 1. The event took place 12 hours and he spent the entire 12 hours on an exercise bike. In May 2016, he gave a 1-game blindfold simul in Stockholm, winning 9 games and drawing 1 game. On June 5, 2016, he gave a 12-game blindfold simul at the Michna Palace in Prague, scoring 10 wins and 2 draws. On July 4, 2016, he won the Pacific Southwest Open, held in Irvine, California. On August 29, 2016, he tied for 2nd in the US Masters Tournament, held in Greensboro, NC. On September 5, 2016, he tied for 1st in the Southern California Open, held in San Diego. On September 24, 2016, he played 64 consecutive blindfold games at the Marriot Hotel in Coralville, Iowa. He won 54 games, lost 8, and drew 2. On November 6, 2016, he tied for 1st in the Los Angeles Open, held in Ontario, California. On November 28, 2016, he tied for 1st in the 52nd annual American Open, scoring 6.5 out of 8. The event was held in Costa Mesa. On December 3-4, 2016, he gave a world record 48-game blindfold simul at the University of Nevada Foundations Building in Las Vegas. He won 35, drew 7, and lost 6 in just under 19 hours. During the exhibition, he actually wore a blindfold and rode the equivalent of 50 miles on a stationary bicycle. Gareyev broke the old record of Miquel Najdorf's 45 games at Sao Paulo in 1947. On April 30, 2017, he won the 24th Space Coast Open, held in Cocoa Beach, Florida. On June 25, 2017, Gareyev and FIDE master Warren Harper played 9 blindfold games simultaneously without consultation in Houston, Texas. They won all 9 games. On July 9, 2017, he won the Pacific Southwest Open, held in Irvine, California. On July 21, 2017, he won the Kansas Blitz championship, held in Wichita. On August 20, 2017, he won the 63rd Iowa Open in Coralville, Iowa. On August 27, 2017, he won the 49th annual Atlantic Open in Arlington, Virginia. On September 23, 2017, he won the US blitz championship in San Jose, California. On October 9, 2017, he tied for 2nd at the 9th Washington Chess Congress, held in Arlington, Virginia. On November 12, 2017, he won the Dulles, Virginia FIDE Rapid tournament. On November 25, 2017, he took 2nd in the American Open Blitz tournament in Costa Mesa, California, scoring 8 out of 10. In November 2017, he tied for 4th at the 53rd American Open in Costa Mesa, California. On March 11, 2018, he won the 22nd annual Boris Kogan Memorial in Georgia, scoring 5-0. On April 2, 2018, he won the Doeberl Cup in Canberra, Australia, scoring 7.5 out of 9. He edged out Australian IM James Morris on tiebreak score. Just before the event, he gave a 10-board blindfold simul and won all his games. In July 2018, he was the guest instructor at the Anatoly Karpov International School of Chess in Lindsborg, Kansas. On July 22, 2018, he won the 23rd annual Pacific Coast Open in Van Nuys, California, scoring 5.5 out of 6. On August 5, 2018, he won the 119th U.S. Open in Madison, Wisconsin, scoring 8 wins and 1 loss (to Peruvian GM Jorge Cori). He took clear first after defeating U.S. Junior Champion Awonder Liang in the final round. He also earned a spot in the 2010 US Chess Championship. Gareyev scored 1/2 point ahead of five players. He took home an impressive trophy and a $6,600 check. His present FIDE rating is 2572, rapid rating of 2626, and blitz rating of 2577. His peak USCF rating was 2780. His present USCF rating is 2678, quick rating is 2575, and blitz rating is 2729. Gareyev is a licensed skydiver and BASE jumper. He had chess academies in Las Vegas, Austin, and Kansas. He serves as a consultant for the Karpov International School of Chess. 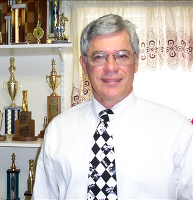 He is the author of a chess tactics workbook called C.A.T. Tactics. 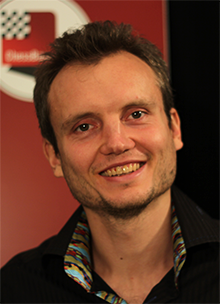 He is the author of two ChessBase DVDs: Trompowsky for the Attacking Player and Developing the Initiative. He has participated in over 3,000 blindfold chess games. "GM Timur Gareyev Sets Blindfold Chess World Record," Chess Life, March 2017, pp. 38-43.